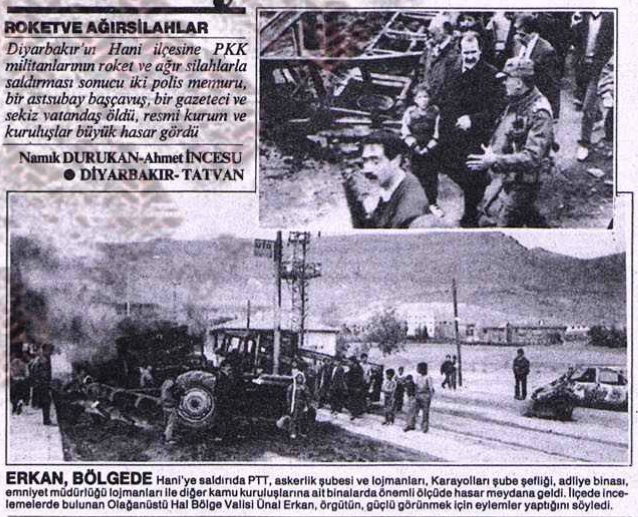 On 9th of November 1992, PKK attached Diyarbakir Hani. Initially terrorists targetted government buildings such as post offices, courts and the Army Center. Then they started setting up cars on fire and attached houses and flats randomly. 12 people died on this attach including; 4 kids and 4 women. It is believed that Semdin Sakik (PKK’s Diyarbakir authority) organized this attack. 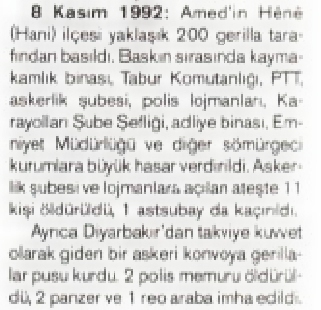 This was also acknowledged PKK on their local magazine (Serxwebun) in November 1992. Around 200 PKK members started surrounding Hani around 7.30pm. Meanwhile another PKK group blocked the motorway to Hani to prevent army support to go into the county. First they started attacking government buildings with machine guns and rocket launchers. One group surrounded “Military Housing”, forced residents to go out by threatening to set the buildings on fire. Once the residents went out, terrorists started the heavy gunfire on them. Military Office Employee Kemal Ay, his wife Nesrin Ay, their son Mustafa ay (6 years old) along with their guests civil servant Suleyman Dalgin, his wife Fatma Dalgin (26), their daughter Sedef Dalgin (5), Sevda Dalgin (4), Sebahat Macar (50), Hulya Aslan (18) and Mensure Aslan (44) were killed. On the other hand Fethiye Turan, Tugba Turan (11) and Nurcan MAcar (19) was badly injured. Meanwhile the other terrorist group, which blocked the motorway, attached a police armed vehicle and murdered 2 officers. After they killed the people in Military Houses, terrorists attached the “Teachers Guesthouse” ( a hostel kind of place for the teachers who were just appointed to the city), forced everyone to leave the building, burnt the guesthouse and made propaganda speech. 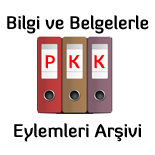 This entry was posted on 4 Haziran 2016 by Pkk Eylemleri Arşivi and tagged hani massacre, massacre, massacres by pkk, Pkk, pkk facts, pkk massacres.